Our Boston dog bite and animal attack attorney at The Law Offices of Attorney William D. Kickham and Associates represents people who have been injured in dog bite attacks. As with the area of medical malpractice, most people would be very surprised to learn of the very high number of injuries that result each year from dog bites and other animal attacks. Unfortunately, it is much more common than you might think. 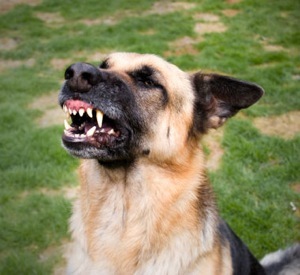 Each year in the United States, dog bites that require medical attention number greater than 800,000 instances. These attacks ranged from minor bites up to serious maulings, often resulting in serious personal injury or even death. Statistics in this field show that there is a greater chance that a dog will attack again, after an initial bite or attack. In many instances, an individual is attacked or bitten near home. Fatalities by dog bite, though statistically rare, still kill between more than one dozen and up to 20 individuals per year. Man’s best friend can get ugly, at times. The statute governing liability for injuries caused by a dog, is Massachusetts General Laws c.140 s.155. Unlike some states, Massachusetts does not have a "one free bite rule" for dogs. In other words, owners and keepers of a dog are “strictly liable” for damages caused by dog attacks - so long as the person injured was not trespassing, or teasing, tormenting, or abusing the dog. Under Massachusetts law, a dog owner is required to restrain and control their dog to ensure the safety of those around them and the dog. The dog owner may be liable whether he or she is on public property or on private property legally. Dog owners may be responsible for injuries that others sustain if the animal was not secured on a leash in a proper manner on their premises, or if the owner had prior knowledge that the animal had a violent disposition. In addition, you may be entitled to compensation for injuries caused not only by the bite or the attack itself, but also in attempting to escape. This often happens when bicyclists who are attacked, are knocked to the ground and sustain broken bones or sprains. People attempting to flee an attacking dog have also run into traffic, and been hit by a passing motorist. Successful dog attack cases need to prove that the defendant is either the owner or the person responsible for the dog. Again, however, the injured person must show that he or she was not teasing or tormenting the dog, and that no trespassing was involved. I was Bitten by a Neighbor’s Dog. Who Will pay for My Medical Injuries and Other Damages? In most cases, dog bite and dog attack injuries are usually covered by homeowner’s insurance. In Massachusetts, homeowner’s insurance covers bodily injury (liability) and at times provides coverage for medical treatment costs to the injured person. You are advised not to contact or speak with any representative of an insurance company, in connection with a dog bite injury, unless you have first spoken to a qualified personal injury attorney who is experienced in litigating dog bite cases. Why? Because you will end up in front of an insurance adjuster, who will probably offer you as little as ten percent of the amount you'd receive if you hire a qualified personal injury attorney. The insurance company involved would love that. Trust us, you wouldn’t like it. Claimants can be at a disadvantage in the negotiating phase of a settlement if they lack legal representation. In Massachusetts, the claims process and the laws that guarantee the rights of injured people to be compensated for injuries caused by the negligence of others, are very technical and very complex. Our advice: Don’t even consider it. Contact us for a free consultation. We work on a contingency fee basis which means if we don't recover compensation on your behalf, you pay no legal fees. Even after legal fees are deducted, you can recover more appropriate compensation with a lawyer by your side, than facing an insurance company alone. Most personal injury cases settle without going to trial. We know the intricacies of this area of law. Our goal is to present your dog bite case to the insurance company so that your claim is resolved by getting you the highest amount of compensation for your damages, without going to court. Contact an experienced injury lawyer serving the greater Boston metro area for a free consultation and we can explain how you may receive compensation for your injuries. Also, to protect yourself in the future, if you are the owner or keeper of a dog, you should check with your homeowner’s (or renter’s) insurance company to see that the dog is covered under your policy. The Owner of the Dog That Attacked Me Doesn’t Have Homeowner’s or Other Insurance that Covers Him for My Injuries. Should I Still Sue? This can be a difficult hurdle. If no insurance coverage is available, and if you obtained a judgment of liability against the owner, then you would have to seek direct reimbursement from him or her to pay for your damages. This is very often a difficult process, and usually involves attaching the defendant’s real estate or personal assets to secure payment of an award. However, in some cases a talented personal injury attorney can secure insurance coverage from alternate sources the defendant may have. Our attorneys are experienced in this area, and can advise you under these circumstances. Contact us for a free consultation. Not surprisingly, a person's face is most likely where a dog will bite, causing trauma, infection, and scars. Wounds can vary, depending on many factors including size and breed of dog. Hands and ankles are also common targets. More serious dog bites and other animal attacks can cause bones to break and/or leave extensive scarring. Often there is also emotional and psychological trauma associated with dog bites and attacks to both the victim and the person witnessing such an attack. These psychological injuries can often be permanent. Medical treatment can be very expensive and may involve visits to a hospital, treatment by psychotherapists, and plastic surgery. You may be entitled to medical expenses compensation, as well as damages for lost income, pain and suffering, and, at times, punitive damages. If you or a family member has been injured by a dog or domestic animal, contact the Law Offices of William D. Kickham and Associates. We can help you in getting the compensation you deserve.